I don’t own a netbook, but I do own a 5-year-old Dell Inspiron laptop. I like to think of my Inspiron as an “oversized netbook” simply because it makes me appear more trendy. Initially people weren’t sure what to do with them. Retailers were saying, “here’s this new netbook PC,” and the average person picked one up and said, “oh wow, that’s small, maybe I can run Photoshop.” So, as an industry, we ended up with a lot of returns, because the functionality of what netbooks could do was not well communicated. However, Ars Technica isn’t quite buying Cook’s skepticism and points out that Apple always trashes an idea before doing it. 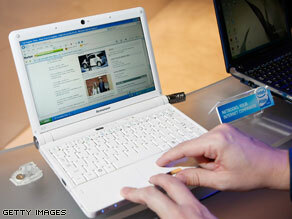 Even though they can’t play games or edit video and often strain when loading YouTube, netbooks continue to sell. Do these low-priced Internet browsers fulfill an actual need, or are customers simply blinded by impossibly low prices?